Today I wanted to share my go-to seasonings and spices that I use all the time. I have so many people ask me what I season my dishes with so I figured I would post about it. 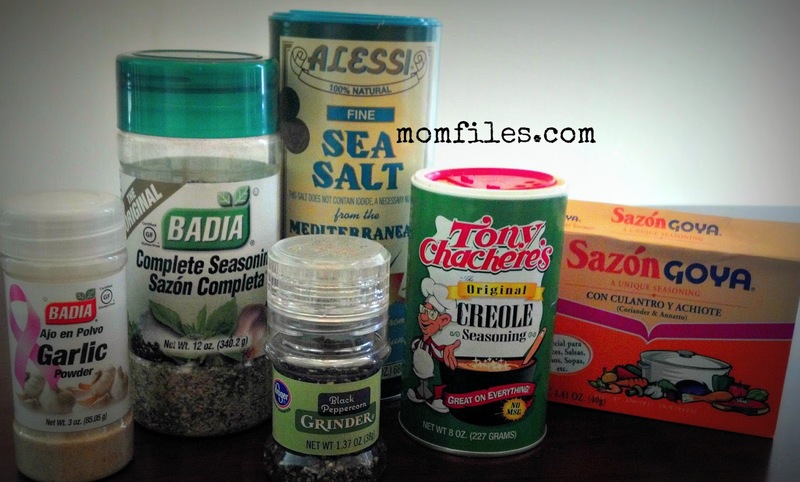 My number one item is my Badia Complete Seasoning. 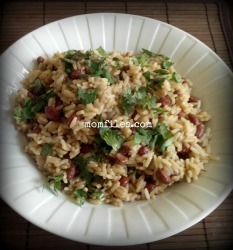 I use it in all of my savory dishes including meat, poultry, fish, beans, rice and pasta. 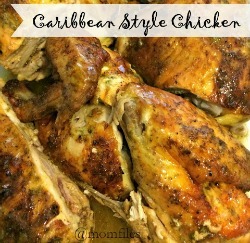 It has a lot of Caribbean and Spanish flavor. I must have garlic powder (as well as my fresh garlic) and Badia makes a great one. Badia products can be found at Kroger, Publix, Food Lion and some Walmart stores (in the event you wanted to check them out for yourself). I also love my fine sea salt and black pepper grinder. I love the multi-colored peppercorns too. They have a very unique taste and is a little less peppery. For additional flavor and color, I love my Tony Chachere's and Goya Sazon. I do have a number of other items in my spice cabinet but I tend to have my favorites that I use most often. I can't forget my other staples- fresh onion, garlic, scallions and cilantro. So there you have it! What are your favorite spices and seasonings? My sister and her fiance turned me on to Tony Chachere's when I was in New Orleans and I've been hooked ever since. Love Tony C's! It makes me sneeze like a mofo, lol, but I still use it. Let's see. Lawry's garlic salt, ground pepper... the thicker kind, sea salt, celery seed, and Old Bay seasoning. i'm pretty crazy over cinnamon, vanilla extract, and cumin. sea salt and fresh cracked pepper are amazing too- once you try them, boxed salt and pepper just don't work! my dh really likes tony chachere's and sazon just like you, but he's into spicy meats, whereas i could eat sweet breakfast foods all day long. We use alot of the same seasonings but I definitely need to try that Badia complete seasonings. Never had that one before. Can't wait to try it! I'm just loving on the Oregano that I've added to my favorites. I now use a 'steak seasoning" mix. I get mine at Aldi for .99 I believe. I use it for everything since it has everything in it. I have so many spices and condiments. I mean 4 different hot sauces!